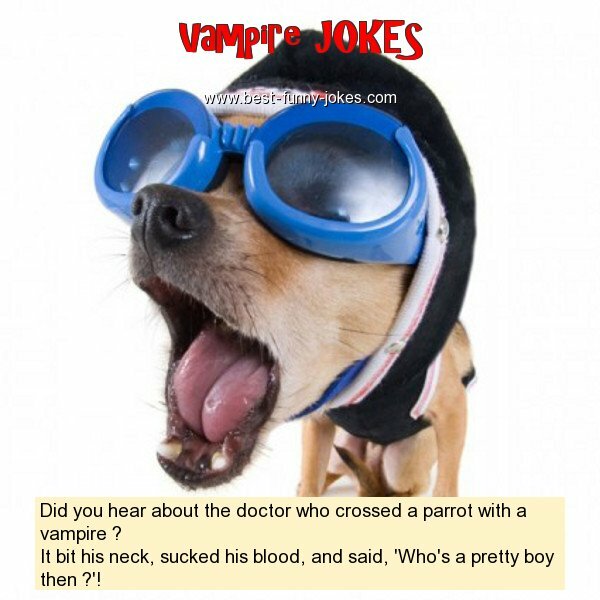 Did you hear about the doctor who crossed a parrot with a vampire ? It bit his neck, sucked his blood, and said, 'Who's a pretty boy then ? '!